Milton and the Spiritual Reader considers how John Milton’s later works demonstrate the intensive struggle of spiritual reading. Milton presents his own rigorous process of reading in order to instruct his readers how to advance their spiritual knowledge. Recent studies of Milton’s readers neglect this spiritual dimension and focus on politics. Since Milton considers the individual soul at least as important as the body politic, Ainsworth focuses on uncovering the spiritual characteristics of the reader Milton tries to shape through his texts. He also examines Milton’s reading practices without postulating the existence of some ideal or universal reader, and without assuming a gullible or easily manipulated reader. Milton does not simply hope for a fit audience, but writes to nurture fit readers. His works offer models of strenuous and suspicious close reading, subjecting all authors except God to the utmost of scrutiny. Milton presents Biblical interpretation as an interior struggle, a contention not between reader and text, but within that reader’s individual understanding of scripture. 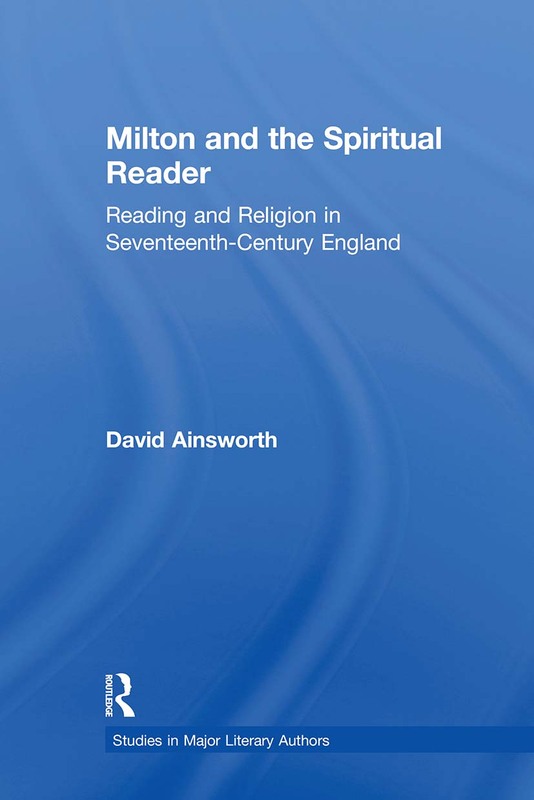 Ainsworth’s study rethinks the basic relationship between reading and religion in seventeenth-century England, and concludes that for Milton and his contemporaries, distinguishing divine truths in worldly texts required a spiritually guided form of close reading.